Who is United’s number 7? Number 7 (seven) in United is always someone special not only for the squad but also the fans. 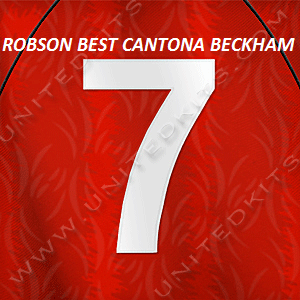 There are players of high skill and nice personality wearing United number 7. In the 20’s Eric Cantona, David Beckham, Christiano Ronaldo, and lastly Michael Owen are the players who succeed to be United number 7. In the next season after Owen is not in the squad fans are beginning to wonder who will be next to be United number 7. Personally I feel sorry for Michael Owen, injuries seem to be his misstreess that never want to let him go. Rarely the former Liverpool player played for United last season and have to be left out from the squad or started from bench. However his appearances make great impact on United’s game. Personally I would choose Nani to be the next number seven of United but he played just like CR7 did with different impact. Ronaldo make entertaining thing with his skill and determination but Nani as far as he played in United seem like copying to him. It is obvious that how he move with the ball almost the same with Ronaldo but he isn’t him. If Ronaldo make goals he mostly make mistakes. It is true he sometime become Man of The Match with his goal or assist but for the next season, personally, I hope he became himself that is making more assist and running with the ball than selfishly try to score. He is not the type of a finisher. Who will be the carrier of the magnificent number seven? That is my wonder from time to time. Will it be the new signing Shinji Kagawa or other players of United like Eckersley or Javier Hernandez. We will find the answer in the upcoming weeks since the Premier League is about to begin.